Mr. Pir Abdul Wahid (Advocate High Court) is a Senior Lawyer heading the Islamabad (Pakistan) office of Josh and Mak. 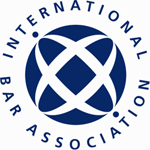 He has extensive and international experience advising on a broad range of matters. Mr. Wahid has vast experience in representing clients in trade remedy investigations (anti-dumping and countervailing) in Pakistan as well as before various international trade regulatory bodies. Mr. Wahid has advised clients in corporate matters and has regularly represented clients before various regulatory authorities of Pakistan. His areas of expertise include Trade Remedy Laws, Project Finance & Corporate Finance, Banking, Energy and Power, Constitutional law, Corporate and Civil Litigation. 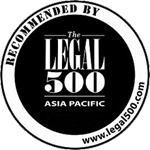 He has dealt with and advised on numerous multi-jurisdictional transactions, often involving interaction between varieties of legal disciplines. His practice covers both dispute resolution and corporate work. Over the years, Mr. Wahid has worked on a number of high profile transactions covering, amongst other things, Banking, Project Finance, Dispute Resolution, Financial Services, Corporate, Commercial and Infrastructure. 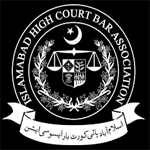 He has also advised regularly on disputes involving the Pakistani law of Property, Labour and Employment, Income Tax, Corporate and Commercial Practice and Litigation. 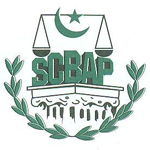 He regularly advises clients whose matters involve dealing with the Revenue Record Department, CDA and Excise & Taxation office and has ample experience and vast knowledge in legal issues in registration of title documents such as Sale Deeds, Partition Deeds, Hiba, dealing with the revenue record including all co-operative housing society’s at all provincial levels and CDA, Islamabad. His advisory expertise also includes, but is not limited to , advice on mortgages and redemption deeds including issuance of fards, marking liens and inteqalat-e-Rahn.